Recently leaked video shows that Google could soon be launching the Nexus 5 in several different colors, among those are Black, White, Red, Orange, Yellow, Green, Blue and Purple. 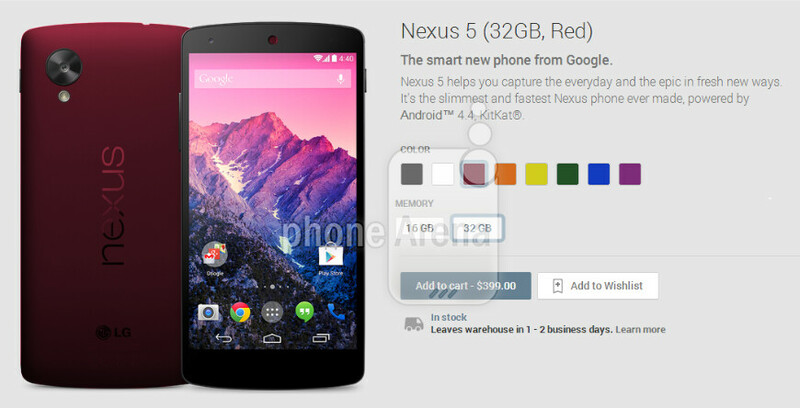 Italian website Webtrek has just posted the first image of what they claim to be the Red version of the Nexus 5. The new color options are expected to become available late February or Early March. 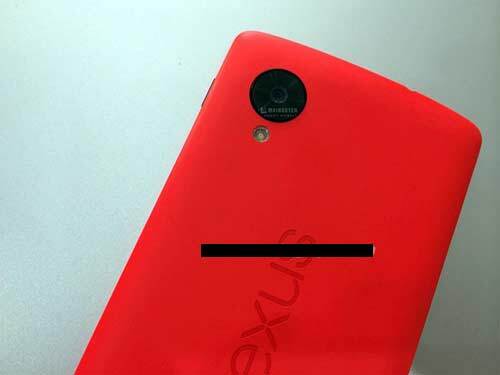 Previous images of colored versions of the Nexus 5 from PhoneArena show that the upcoming versions of the Nexus 5 are expected to have a much darker color instead of bright colored red. We have no official confirmation except from Webtrek if the leaked picture is: the official red Nexus 5, just a prototype or fake. As of now be skeptical about this claim.